Right now I'm listening to crowd noise & the P/A from the youth football game at the junior high ball field about 30 yards from where I'm typing this in my bedroom. Before that, my ghetto blaster was pretty much taken prisoner by one of the Amazon Marketplace-obtained CDs that arrived today, UK Decay's New Hope for the Dead ... first thing they've done in some 30 years, & I think it's my favorite thing of th4eirs, though admittedly it's been years & years since I've given any of their old vinyl a spin. One of the tracks, "Shout," sounds uncannily like the vocals are by the guy who used to sing for Renegade Soundwave &, before that, Mass & Rema-Rema. That Bullet song sounds like AC/DC and Iron Maiden fused together. Good stuff. One of the rarest Duran Duran compilations ever. This was published in Japan in the early 90s, very limited and the only way to get the recordings otherwise in the US and UK was on 12' vinyl EPs. So during the 90s, this set sold for around US$200 in specialist Record Stores like Record Runner in New York. The individual EPs eventually made their way onto cds which included similar remixes...but this set started it. My favourite Duran Duran track ever is Girls On Film. Into the Circle's Assassins CD. Another new Amazon Marketplace acquisition that I'm liking immensely. Nothing from an external source, but for some reason Lancelot and the Black Knight from Rick Wakeman's King Arthur album popped into my head a few minutes ago and has been playing itself over and over. 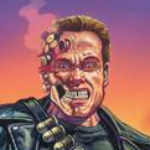 : That Bullet song sounds like AC/DC and Iron Maiden fused together. Good stuff. It sure has that good old school vibe. I wen't to a KISS concert at the Houston rodeo a few years back. They were pretty fun live. Did they commit suicide at the end? That's what would've been required to elevate such an ordeal to "pretty fun" for me. No, they had the crowd sing along to "Rock and Roll All Night" instead.